An advanced dental technology has shocked the world that is an all-on-4 dental implant. This technology replaces the entire teeth problem either in upper and lower teeth. In order to understand the technique of replacing teeth, first, understand the all-on-4 teeth implant. In general, an implant is a process in which titanium screw is fitted in the jawbones and replaces the root through a minor surgery. 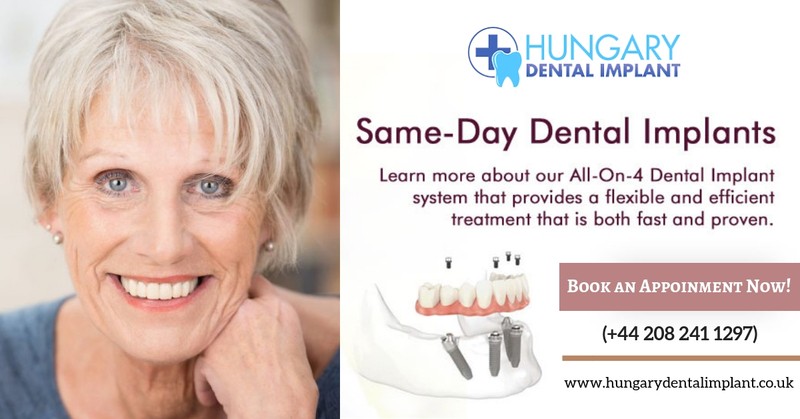 However, in the all-on-4 dental implant, you do not need to implant every missing tooth, all you require is four exactly placed implants on the top of the jawbone and 4 on the bottom of the jaw. This process is done in one surgery and you do not need to visit the dentist 8 times for every single surgery. In this implant, titanium metal is used has unique ability to fuse with the living bones and functions as natural bones. Eventually, the all-on-4 dental implant becomes a part with other teeth and serves as the strong and long-lasting foundation for the teeth. Another advanced feature in these teeth is replacing completely set of teeth with a removable denture or false teeth. This tooth is made of resin or porcelain. This set has the lot of acrylic material that is fit over the gum and stays in the same place for a long time alone or with a dental adhesive. Properly measures denture does not require any adhesive. However, over time, the denture may become loose and need to be replaced to avoid problem while eating. It requires short-term treatment and quick recovery time. Implant did on the same day of extraction. Comfortable structure to support bridges and crowns. Intact in a place, so not need to remove. It does not slip and fall out.